Surveillance video shows a thief breaking into cars on an Olney street. 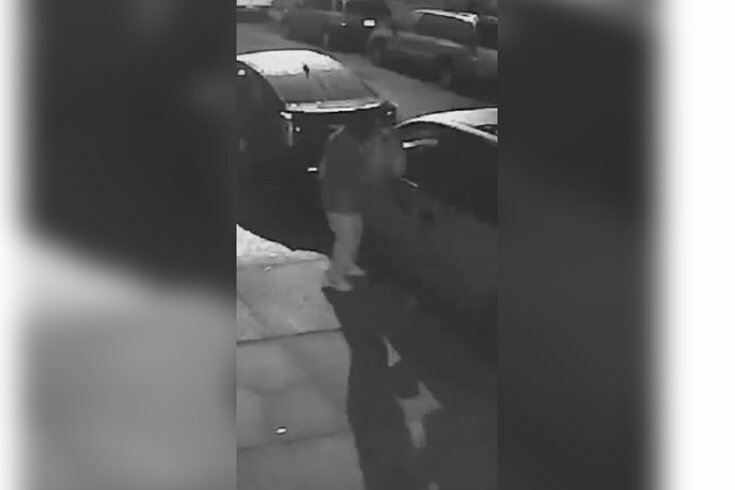 Police released a surveillance video on Friday that showed a thief breaking into several parked cars on a street in the Olney section of Philadelphia. The incident occurred on Tuesday, May 3 between 2:15 a.m. and 3:20 a.m. on the 5300 block of North Howard Street. Authorities say the man broke the windows of several cars that were parked along the street. The suspect was seen striking one particular car eight times with an unknown object to gain access. A GPS, checkbook and keys were swiped from the vehicles before the suspect fled the scene. The suspect is described as a man in his late teens or early 20s. He was last seen wearing a hoodie underneath a zip-up jacket, a hat and a backpack.